Look inside nearly any medicine cabinet in the U.S. and there will be a few bottles of prescription pills. They might be blue, white, round or square, but their development has followed the same pattern for decades: One of the few gigantic pharmaceutical companies that have come to dominate the industry pours millions, or even billions, of dollars into designing and getting a drug approved. Then the same pill is prescribed to every single person. 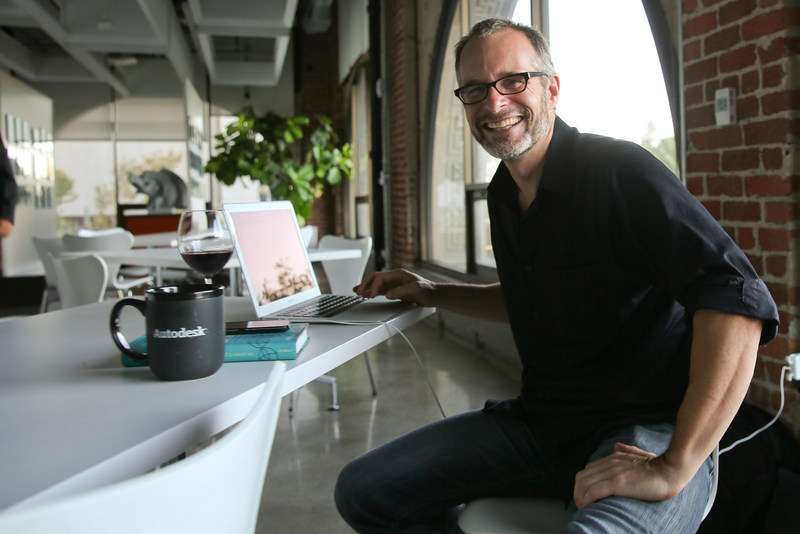 Molecular biologist and futurist Andrew Hessel doesn’t see that model lasting for much longer. He envisions a world in which every individual receives pharmaceutical drugs perfectly formulated to their genetic and medical needs for a fraction of what treatment would currently cost. Photo courtesy of Andrew Hessel. That future is on its way. Companies like Cambrian Genomics are making it possible for anyone to print strands of DNA. Autodesk’s bio/nano/programmable matter group, where Hessel is a distinguished researcher, is building design software known as “Project Cyborg” that will allow individuals to make 3D models of living matter. With the price of genetic sequencing dropping every year, he believes it won’t be long before anyone who wants to will be able to create with the building blocks that make up life itself. The future of health belongs to any startup that wants in on it, instead of just the Genentechs of the world. What follows is an edited transcription of our conversation. Signe Brewster: Why do you think individuals should have that kind of power? Andrew Hessel: Every time I hear of a big challenge for the world, whether it’s, oh, how do you cure cancer or reduce our dependence on fossil fuels or clean up water or create anything sustainable, for me, it’s these technologies that are going to apply. If we can democratize their use and keep them open and transparent and make better tools for people to do the work, then we’re going to change the world in ways that are positive. What would the pharmaceutical industry look like if the big companies were not in charge? I’m driven by the idea that one day anyone with cancer, no matter what or where, (can get) a cheap genetic screen and some sort of molecular pathology … and have a computer generated medicine generated in hours. It’s not sold to them, it’s just available on subscription. Have you seen Dallas Buyers Club? Don’t sell the medicine, sell the subscription. The biggest change here is that you can make medicines for one person, so the blockbuster model no longer applies. 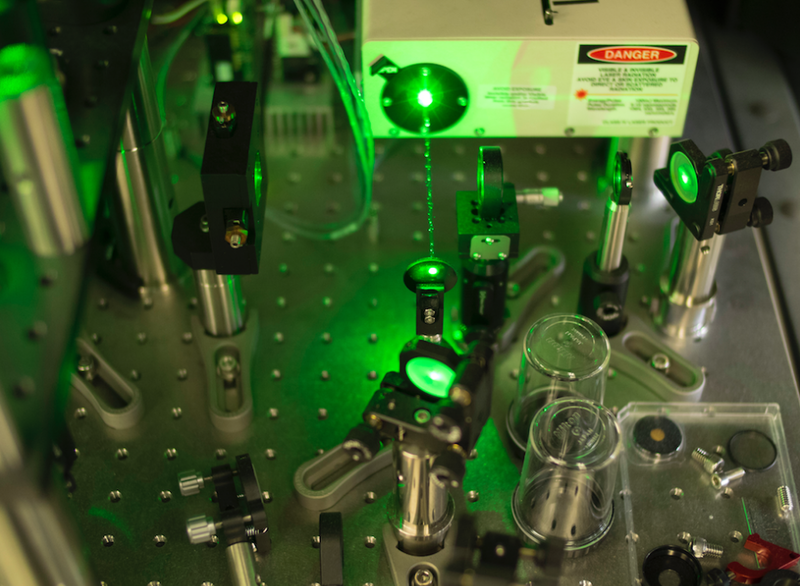 Autodesk’s Project Cyborg will make it possible to use software to design 3D models of cells and other living matter. Photo courtesy of Autodesk. Right now, that idea of having kind of a subscription model, a Netflix model, for drug making is really kind of mind blowing to the pharmaceutical companies, but I think its precisely where I would hope a design company like Autodesk would be positioned moving forward. We’re not trying to make tools that we’re going to sell to the 30 or 40 big (pharmaceutical companies) in the world. 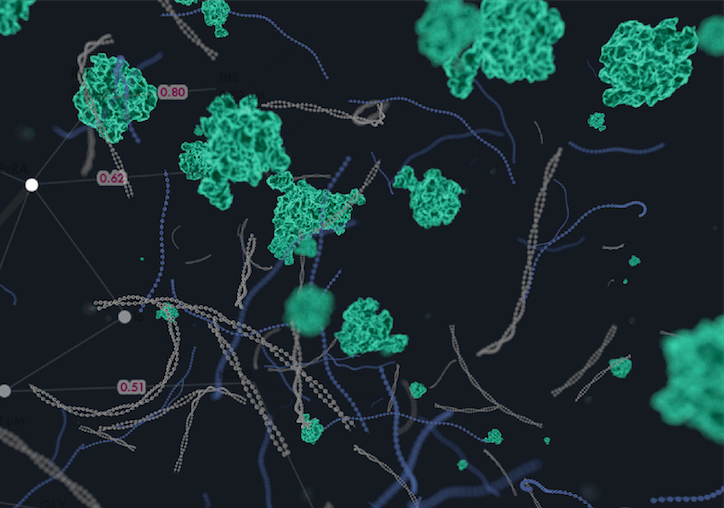 We’d like to make tools that allow everyone to start to create designs that truly solve some of the challenges in therapeutics and biotechnology in general. What would it cost to make personalized medicine? So you essentially have design tools and a printer for biological things. Like 3D printing, where you pay really just based on the amount of plastic you use, with biology, it’s essentially free. The real value is in the design. The software tools have been improving over the years. The printers have gotten exponentially better in terms of making DNA. But I’m still limited and I still pay per base pair (a unit of DNA). Today it’s about 20 cents, but when I started it was about $20. But, again, if you write 10,000 base pairs, it’s still going to be a $2,000 synthesis. That’ll drop very quickly in time if Cambrian Genomics gets their laser printed DNA up to market. They say it’ll cost about $1.50. Ten years from now, it’s a fraction of a penny. What can be accomplished at the current price? Working with under 10,000 base pairs limits what I can practically make. The smallest genomes that have the most utility are actually viral genomes. About 30 years ago people started investigating cancer-fighting viruses. They are called oncolytic viruses because they actually break apart the cancer cell. 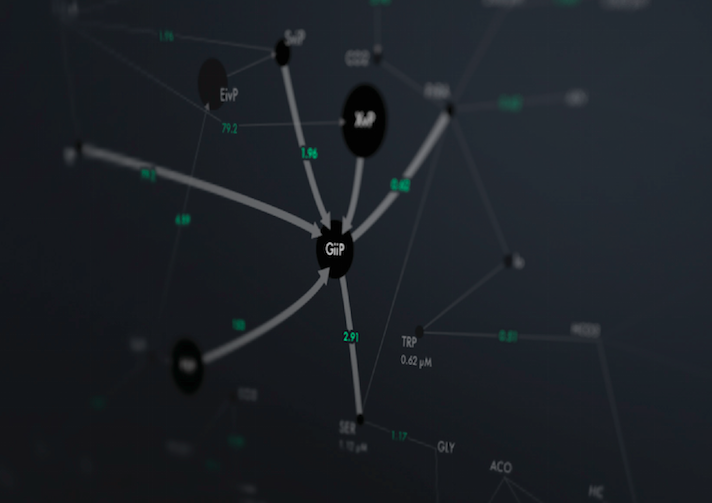 It turns out a lot of weak viruses have these capabilities. And people have been engineering them to make them more specific and more functional for killing various cancers. So for the last few years, I’ve been largely going and exploring the tools, the researchers that have a lot of experience with viruses and the groups that are really keen to be able to engineer viral genomes quickly. And then the last couple of years, we seem to have hit the turning point. (A geneticist) was working with Novartis and they were able to make synthetic viruses as vaccines for the latest flus that were popping up around the world. They did it a few years early as an exercise, as a proof of concept, and then last year they actually got to test it with a new flu that appeared in China and demonstrated that within four days, without ever receiving a biological isolate of the virus, just an email of the viral genome, that they were able to make a vaccine and get it into production, which was really cool. What’s an example of a company that is already leveraging available tools? 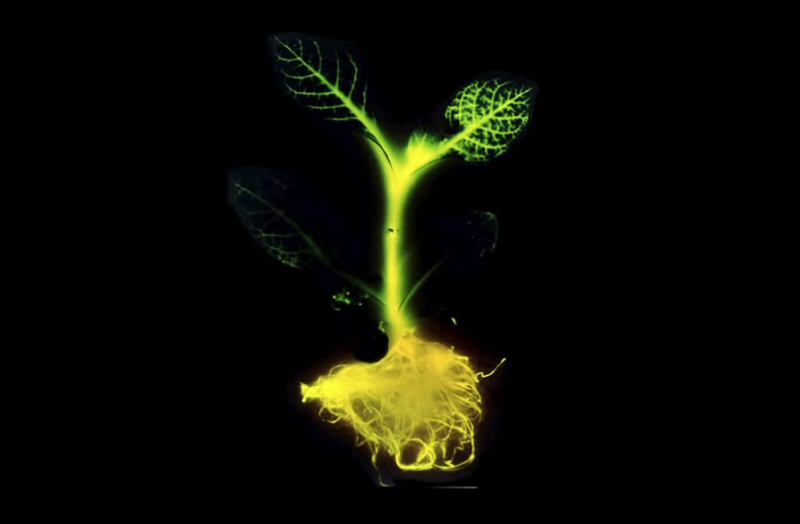 One of the applications you may have heard of is the Glowing Plant project. The fellow that did that, Antony Evans, is a friend of mine. … He had some great science behind it so that he knew it was technically possible and then raised the money through Kickstarter. … It was remarkable because he really opened up so many minds along the way by (finding an application) that wasn’t too scary, but right on the edge. It changed the discussion of what is a bio-tech company. An early rendering of a glowing plant. Photo courtesy of the Glowing Plant Project. How do you think the public would react to this kind of shift? There is a challenge in getting people beyond the automatic fear of the word virus or the engineering thereof. Certainly, the kind of idea that anyone is going to use these tools to make Ebola or smallpox is kind of laughable. I think we’ve figured out those blocks. But, the potentials for positive engineering are so dramatic, particularly when it comes to making medicines. I think it’s going to take a generational change in the end. Younger people aren’t afraid of these technologies in the same way that people my age typically are. They grow up learning about molecular biology in school. So, on those fronts, they’re much more comfortable with the technology and also with the idea of sharing. You know, the privacy issues are very different for younger people today than for older people. Thanks Miss Brewster, I landed on this page accidentally but the information in it was just mind bending! Thanks Mr Brewster, I landed on this page accidentally but the information in it was just mind bending!